It is a pleasure to note that The Barack Obama Report - a campaign blog independent of the senator's official presidential effort - has written about LaVena Johnson. The post, the concern it evinces for soldiers and their families, and the attention it will bring to LaVena's story, are all greatly appreciated. However, the blog post does bring a question to mind regarding another presidential contender: Senator Hillary Clinton. A convergence of circumstances places the junior senator from New York in a unique position. She is one of the most prominent members of the majority party in Congress. She is the leading Democratic presidential contender. 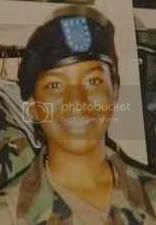 She is a member of the Senate Armed Services Committee - one of the two legislative bodies to which the LaVena Johnson petition is addressed. These factors make for a compelling argument that Senator Clinton should bring her support to the Johnson family and its efforts to launch a new investigation of the circumstances surrounding LaVena's death in Iraq. Of all the presidential candidates, Democratic or Republican, only Senator Clinton is in an official position - right now - to bring influence to bear on the Army. Even in purely political terms, the opportunity to demonstrate support for military families and their loved ones in service should be clear to all. It is to be hoped that the senator from New York has sufficient concern for soldiers that she will lend the Johnsons her support in the name of all service families who have given so much, and whose search for the truth about their daughters, sons, fathers, and mothers is too often lost in the fog of war. Good question from the Obama supporter. And it is great that the Obama supporter wrote a piece about LaVena. I certainly would be interesting in her response. I will post your latest on my blog. p.s. 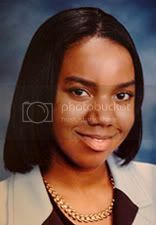 I would like to challenge the rest of the Democratic candidates as well as the GOP candidates on their thoughts into an investigation into LaVena Johnson's death. I did post a commentary on my blog. Wonderful that Obama has put the facts about LaVena on his site. Has there been any movement regarding the military? Any Congresspeople who have agreed to help? Can you post an update, maybe from the family, about what is currently going on?